Sergio Garcia says he is not proud of his disqualification at the Saudi International and cites 'emotional personal news' as a contributing factor to his behaviour. Sergio Garcia says "some emotional, personal news" in the week of the Saudi International was a contributing factor for the conduct which led to his disqualification at the European Tour event. Garcia intentionally damaged a number of greens during the third round at the Royal Greens Golf & Country Club and was subsequently removed from the field for "serious misconduct" after 54 holes of the tournament. The 2017 Masters champion apologised to fans and fellow competitors in a statement and will play for the first time since the controversy in this week's Genesis Open, live on Sky Sports. "I received some very emotional, personal news earlier that week that didn't help," Garcia, who did not expand, told the Golf Channel. "It was in the back of my mind. As I became frustrated on the course everything erupted. "It was a mix of some emotional and personal things going on and a little frustration with the greens. Unfortunately it ended up the way I wish it wouldn't have." Garcia, who escaped further punishment by the European Tour, admits he is contrite over his actions - which also included losing his temper in a bunker during the second round - and hopes those within the game can "accept" his apology. "It's obviously something I feel ashamed of. I am not proud of it but the only thing I can do is what I said," he said. "I apologised for it. Hope that people accept it. Show everyone that I am able to move forward and show everyone how I am and how I can behave on the course. 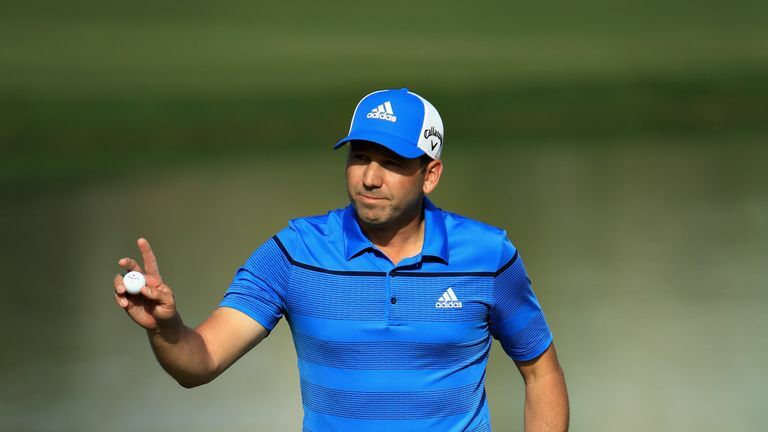 David Livingstone reflects on the troubled career of Sergio Garcia and discusses the impact of his disqualification in Saudi Arabia. Three-time major champion Brooks Koepka reproached the 39-year-old Spaniard last week over the behaviour and Garcia knows he has to work hard to show himself in a good light among his peers. "I am sure that some of them are not going to be happy with it," Garcia said. Phil Mickelson's US Open hopes, bizarre rulings and a chat with Eddie Pepperell all feature in the latest episode of the Sky Sports Golf podcast. "Obviously, We all make mistakes and I am the first one to admit it. The only thing I can do is, like I said, I apologised. "I am obviously going to work hard to behave the best way possible. Show everyone that not only am I a good golfer but I am a good person." Watch the Genesis Open throughout the week live on Sky Sports. Live coverage begins on Thursday from 2.30pm on Sky Sports Golf and 3.30pm on Sky Sports Main Event.